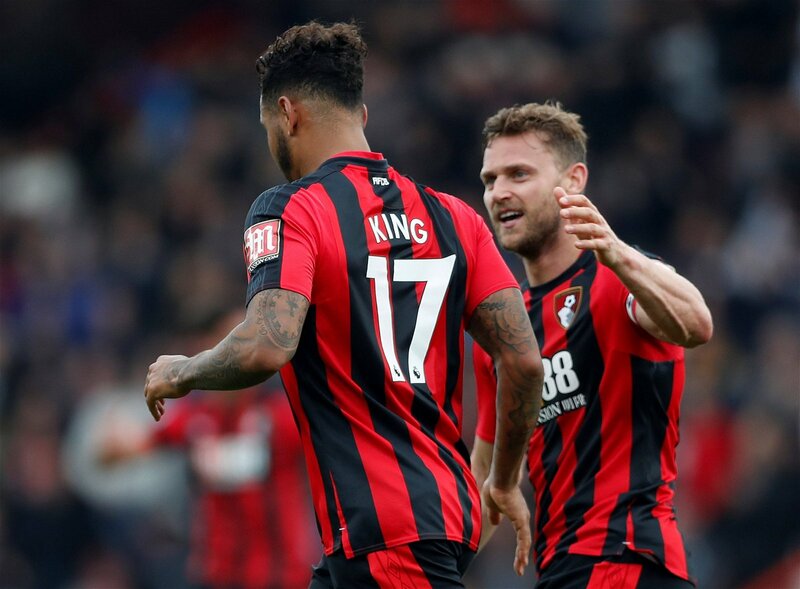 According to a report in The Sun on Sunday, Newcastle United are considering letting Matt Ritchie, rated at £10.8m by Transfermarkt, rejoin Bournemouth as part of a deal that sees Cherries attacker Josh King move to St James’ Park. Well, The Sun on Sunday says that the two clubs are discussing how to do a deal for the Norway international forward with the Magpies unwilling to pay his £20m price tag, and they could be ready to let Ritchie move back to the south coast two years after he made the long move north. The Sun on Sunday says that the 28-year-old, who is a real fans’ favourite at St James’ Park because of the impact he makes from both an attacking and defensive point of view, could be used as a makeweight with a smaller price tag on his head, with Bournemouth boss Eddie Howe keen to have his former wideman back. How did Ritchie do last season? The Scotland international certainly didn’t have the same impact for the Magpies as he did in the Championship when they won the title, but he still produced three goals and six assists from on the right to help them to a 10th-place finish. While his attacking record perhaps wasn’t as good as it might have been with the Tyneside outfit scoring just 39 goals in their 38 Premier League matches, he did more than his fair share of defensive work to help them keep the goals out of their own net. Why would selling him be a big risk? While Benitez may want King and feel that he can perhaps get an upgrade on Ritchie on the right-hand side, it isn’t a guarantee. Even if the Spaniard does find a player that is more impactful in the final third they likely won’t be as disciplined defensively as the Scot is, with his work-rate vital to helping DeAndre Yedlin out at right-back last term. The 28-year-old is also a big fans’ favourite and while the supporters will be desperate to see the squad strengthened this summer, they surely won’t want it to be at the expense of losing one of their better players.